One thing that has been virtually ignored, however, are the foods that are able to increase the body’s natural melatonin production. Melatonin is secreted principally by the pineal gland and mainly at nighttime. Not only does it control your circadian (sleeping and waking) cycles, but it is responsible for regulating other hormones as well. It plays a role in regulating female reproductive hormones including menstruation and menopause. While young people have the highest melatonin levels, production of this hormone wanes as we age. Some scientists believe this is why older adults struggle more with sleeping for the recommended amount of hours or even why they may go to bed earlier and wake up before the sun. Disruption of the circadian rhythm and sleep–wake cycles are considered risk factors for a variety of health problems including obesity and cardiovascular disease. Several preclinical studies have identified dietary components, such as glucose (sugar), sodium (salt), ethanol (alcohol), or caffeine (coffee) being capable of phase-shifting circadian rhythms by modifying the expression of genetic components of the biological clock, i.e. clock genes. Changes in the circadian cycle modify metabolism, but in addition, alterations in metabolism are also able to entrain physiological clocks, resulting in changes to the rhythms as outlined previously. One possible mechanism by which diet can influence circadian rhythms is by modifying the secretion of melatonin. Melatonin supplements are made with synthetic ingredients in a lab. And though the supplements may have slight benefits, especially for people suffering with occasional insomnia, they don’t always offer long-lasting or significant results for those who struggle with sleep on a nightly basis. 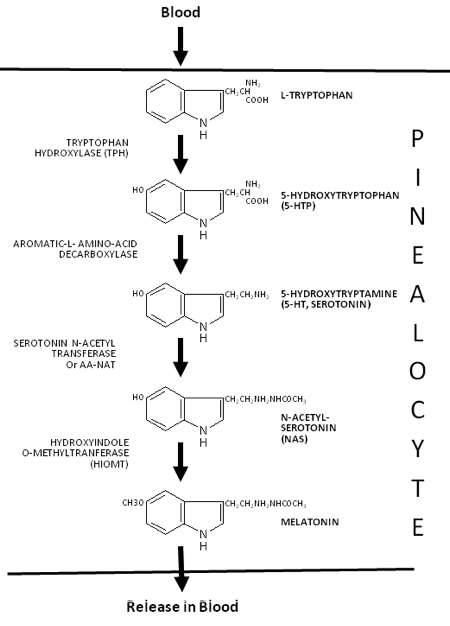 Natural Melatonin is synthesized from tryptophan (TRP), an essential dietary amino acid (see diagram below). If intake of TRP is severely restricted, synthesis of melatonin is significantly reduced. Making sure your diet is rich in Tryptophan containing foods will guarantee the valuable building blocks for Melatonin synthesis. Bananas contain magnesium, vitamin B6, and natural complex carbs that produce serotonin. They’re also a good source of trytophan, an amino acid that promotes relaxation and serotonin production. All of these nutrients help send your body to sleep more quickly, and regular consumption may help your body’s natural cues to go to sleep happen a little more easily. Oats aren’t just delicious and great at keeping your heart healthy – they also help the body produce melatonin more naturally, even when eaten first thing in the morning. Oats contain an array of vitamins and minerals that assist with a healthy nervous system and relaxation. Tryptophan, potassium, B vitamins, magnesium and complex carbs that will help you drift off more easily, and even regulate your sleep too. This incredible fruit is fantastic for your health and can be enjoyed all year round. Because of its digestive benefits, you can also pair it with any meal to help prevent indigestion and digestive upset. 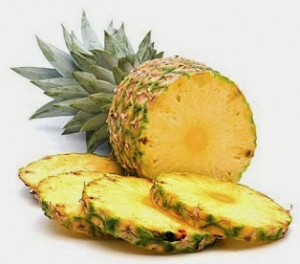 Pineapple actually contains more melatonin-boosting benefits than oats or bananas, making it a great choice if you don’t eat much of the above options. Try to eat a little bit when you can, fresh or frozen (not dried, sugary forms). It’s also great for your immunity and your weight as well. Walnuts are a good source of tryptophan, a sleep-enhancing amino acid that helps make serotonin and melatonin, the “body clock” hormone that sets your sleep-wake cycles. Additionally, University of Texas researchers found that walnuts contain their own source of melatonin, which may help you fall asleep faster. Fish such as tuna, halibut, and salmon are high in vitamin B6, which your body needs to make melatonin and serotonin. Other foods high in B6 include raw garlic and pistachio nuts. A glass of tart cherry juice could make you fall asleep faster, according to researchers from the Universities of Pennsylvania and Rochester. Cherries, particularly tart cherries, naturally boost levels of melatonin. Sweet cherries have 50 times less melatonin than tart ones; dried cherries appear to have none. Bioceuticals Ultra Muscleze Night contains sour cherry which is naturally high in Melatonin. So you’ve now got the pantry stocked with your Melatonin producing foods but what else can you do to improve your Melatonin levels? 1. Go to Sleep Early– Make sure to get a full night’s sleep in order to allow your body to go through all sleep stages and to not disrupt circadian rhythm. If possible, try to turn down the lighting in your home as it gets closer to nighttime and minimize the use of computers and TV’s especially right before bed. 2. Sleep in Darkness – Completely pitch black would be best, make sure to cover alarm clocks or any small lights on electronic devices, and use blackout window curtains. If you can’t achieve complete darkness in your bedroom, invest in a sleeping eye mask. 3. Avoid High Sugar and Caffeine – Several studies have shown that those with diets high in caffeine, processed foods and sugar tend to have even more decreased levels of melatonin. Avoid any forms of caffeine after 12pm. 4. Meditate -Allow yourself some quiet time before you go to bed and practice deep breathing. Meditation has been shown to aid in boosting the production of melatonin. There are many free apps which can be downloaded to your phone, one of the best is called Smiling Mind. This meditation app can be used from ages 7-Adult. 5. Reduce Alcohol– Alcohol may help you fall sleep initially, but it will interrupt your most restful, deepest REM sleep cycle. It’s also thought that people who consume alcohol regularly have lower levels of natural melatonin in their body, which can contribute to sleeping difficulties. 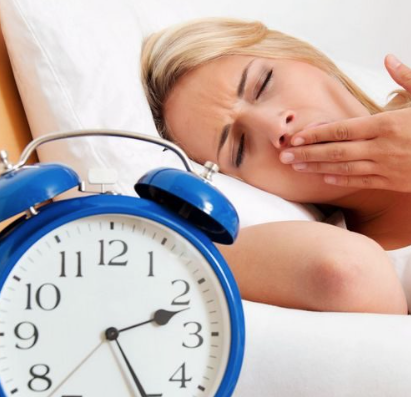 For a comprehensive list of lifestyles changes to help you get a better night rest, read 10 Common Sleep Mistakes & Their Solutions and Sleep Better Tonight – Insomnia Explained. Sleep & Stress Relief – Ultra Muscleze Night – New Product! Sleep Better Tonight – Insomnia Explained.